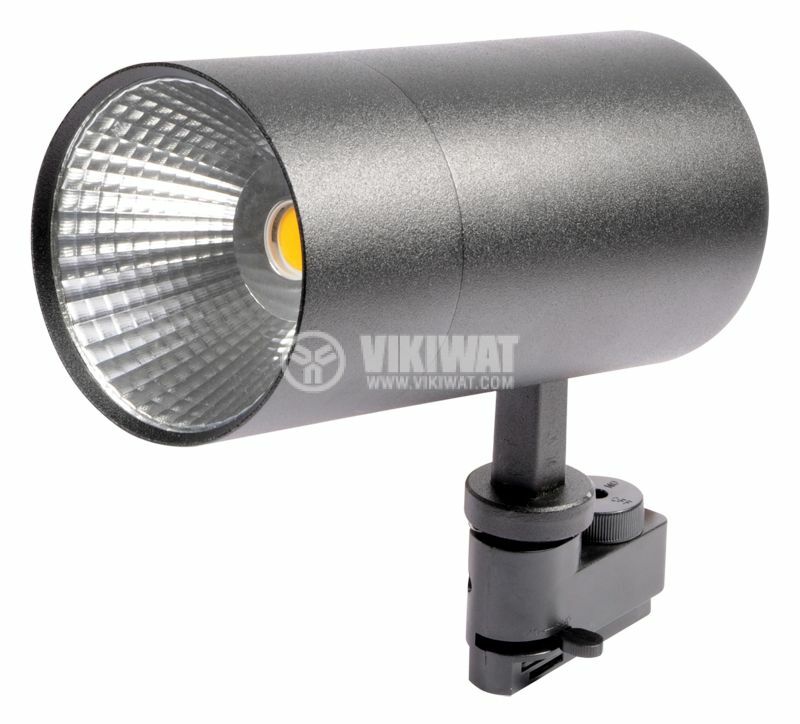 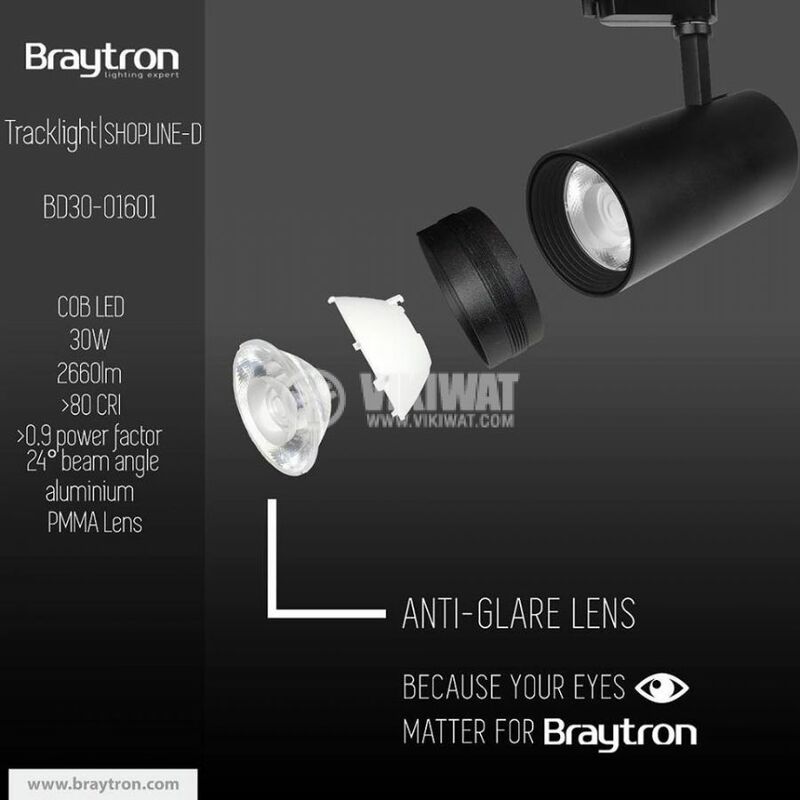 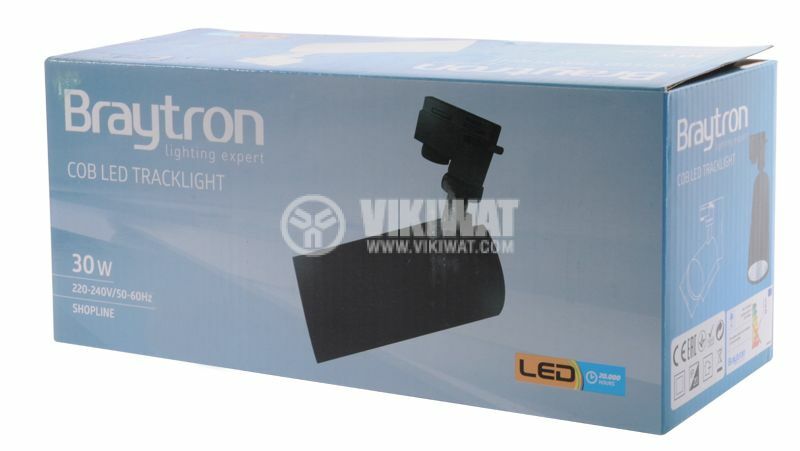 Braytron LED COB Tracklight Light with 30W power supply and warm white light. 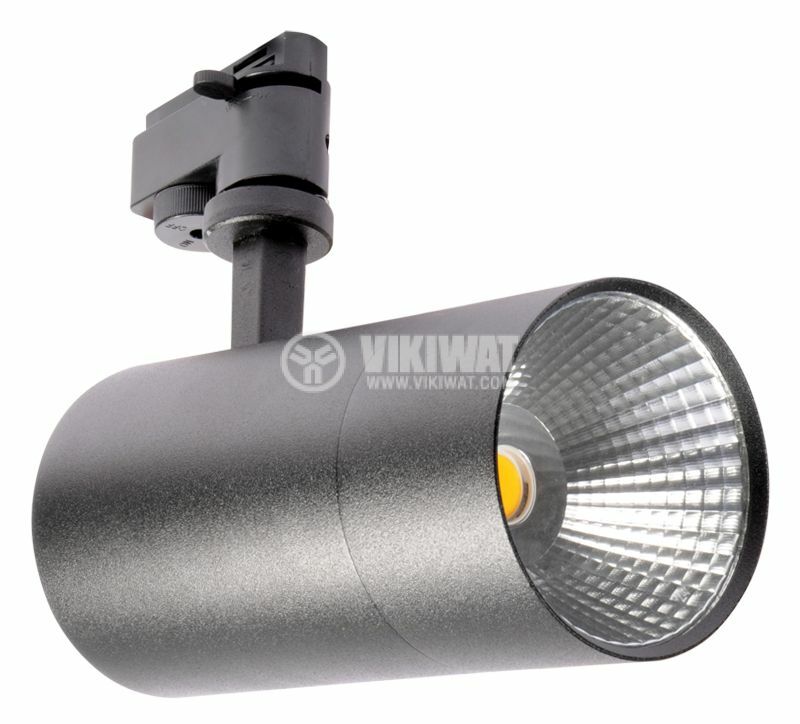 This LED solution is very suitable to illuminate galleries, art studios, shops and home areas. 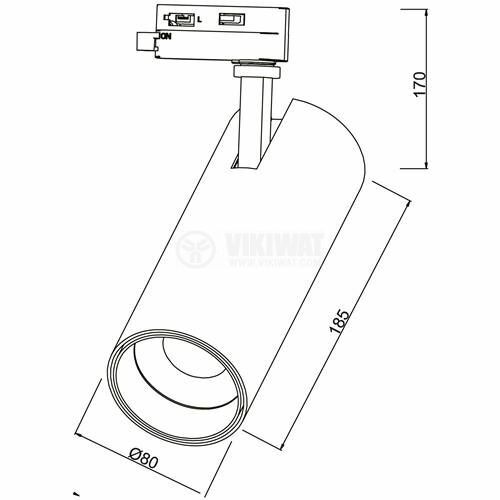 overall dimensions - Ф 90 x 177 x 170 mm. 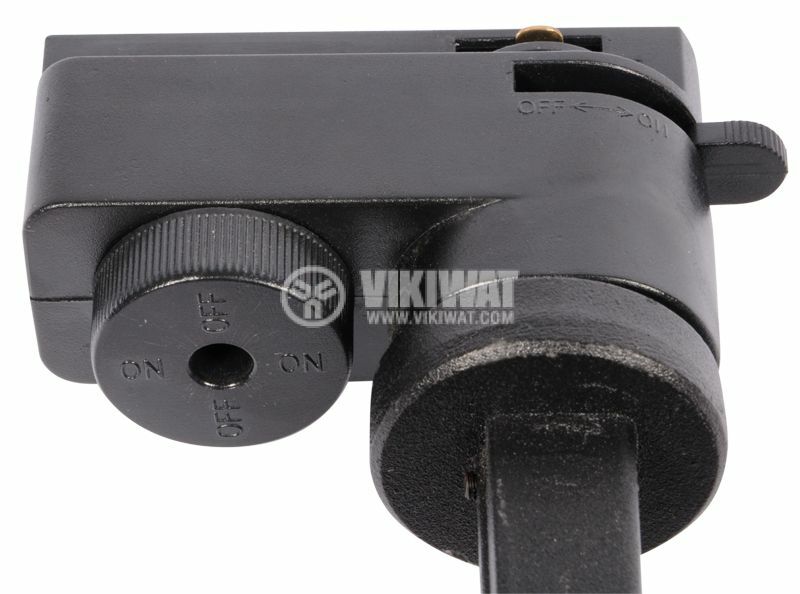 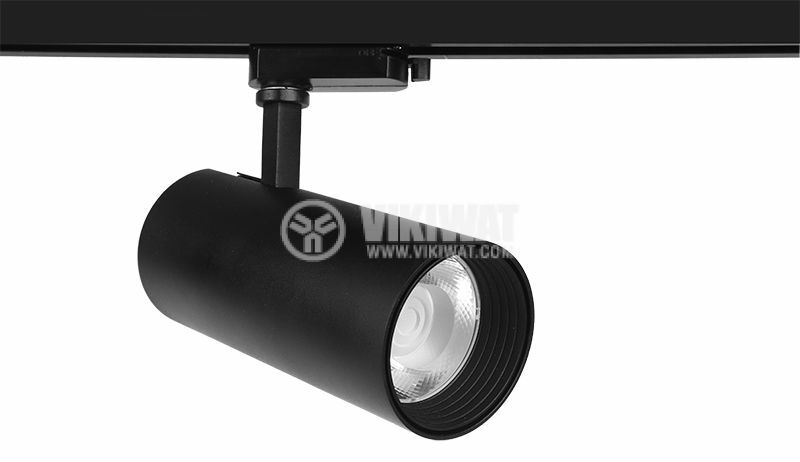 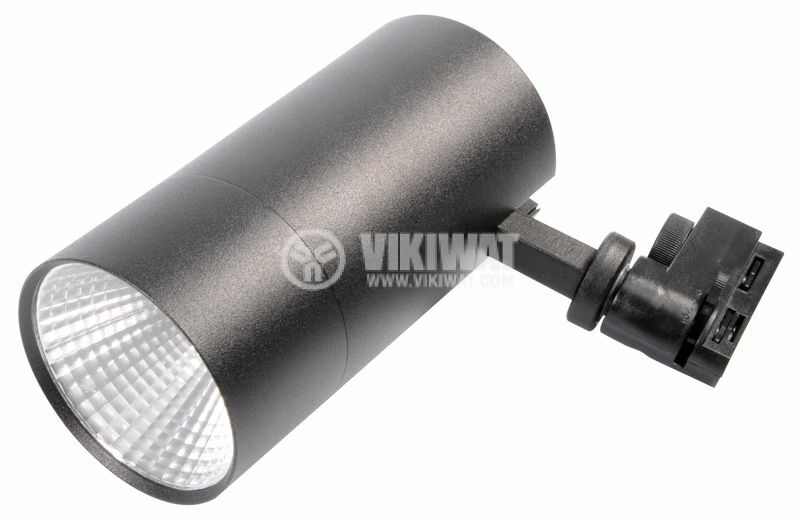 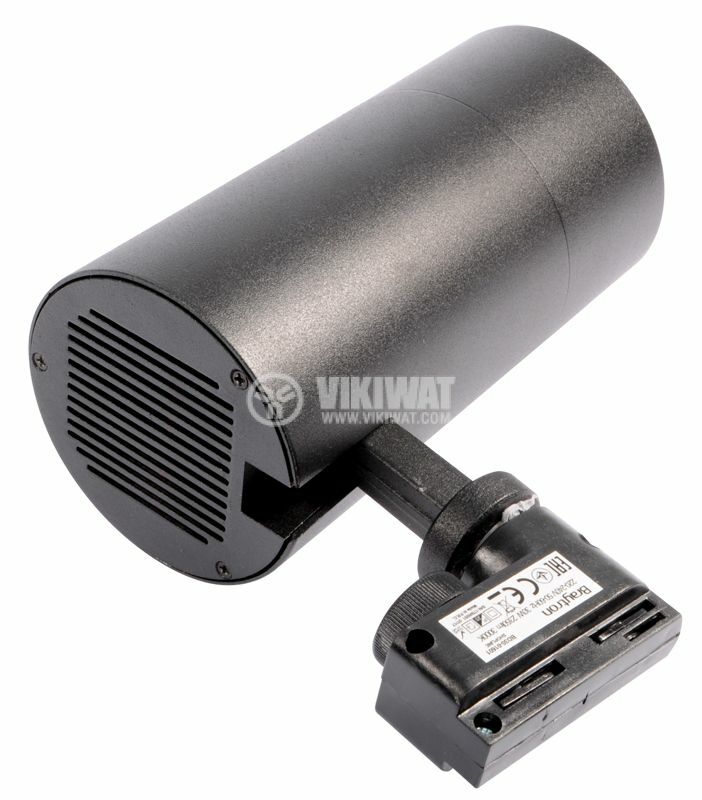 BD30-01601 LED COB track light is NOT dimmable. 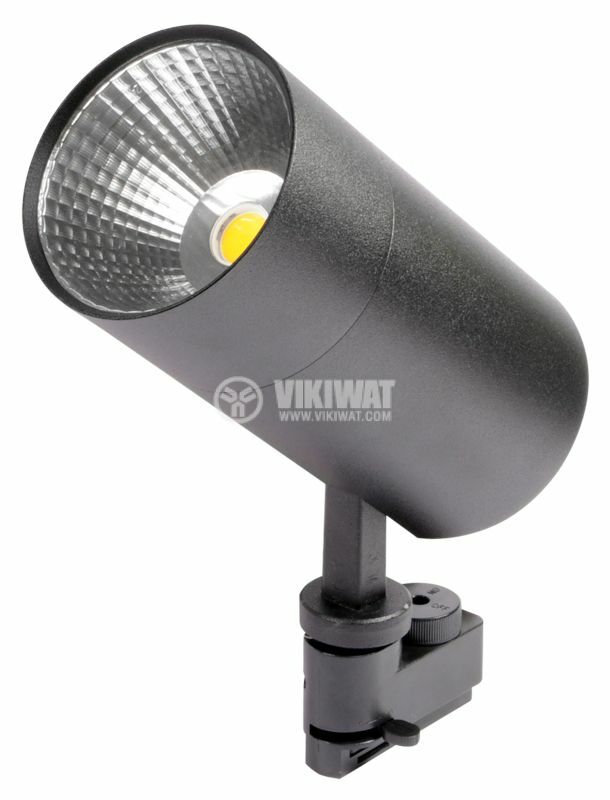 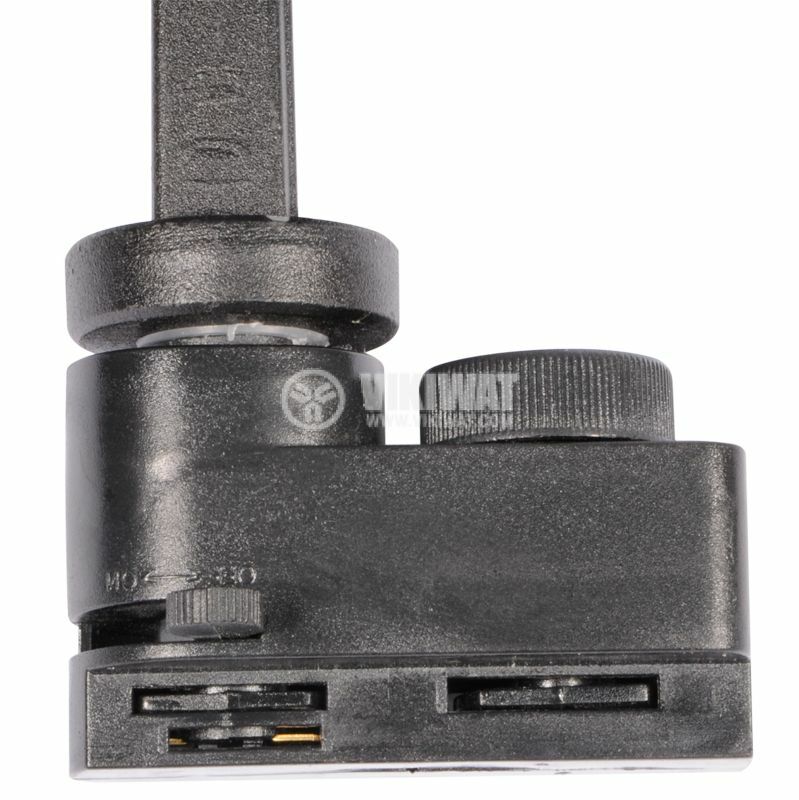 When using the LED track light with a dimming device, it will be irreparably damaged!